Welcome to my 8th edition Codex Review for the new Genestealer Cults army. This first part will take a look at some of the various special rules in the new book. Genestealer Cults, for me, are one of the best looking armies in the current 40k range. I picked them up in 7th edition, and they have been a favourite of mine. It doesn't hurt that there is a great new range of models coming out for the army as well. 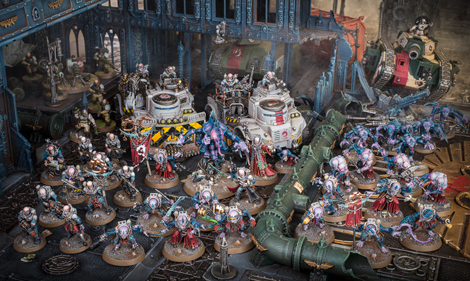 The Genestealer Cults' defining special rule has seen a big change in the release of the codex. Previously, any units in reserve rolled a D6 on the Cult Ambush table and deployed according to the result. This meant you could either have to deploy from reserve normally (9" away from enemy unit), deploy on a random table edge, or be able to move or shoot after coming out of reserve. Obviously, this was entirely variable and games were either won or lost on the Cult Ambush roll. In some situations, your giant Genestealer unit would come out of reserve and get to move and charge, pretty much guaranteeing a charge. However, at other times you could struggle to roll high on the table or roll well for the wrong units, making the game a real uphill struggle to do well in the later turns. The new Cult Ambush rules don't have the potential for sheer raw power of the old version, but it seems to be a lot more reliable than the previous version, allowing you to substitute random rolling for tactical ploys. Under the new version, you can choose to either set up any unit with the Cult Ambush ability Underground (i.e. normal reserves). This allows you to deploy them anywhere on the board at least 9" from an enemy model and following the normal restrictions for reserves that other armies face. There are some abilities and stratagems in the army that can modify these requirements, which I will cover in later sections. Alternatively, you can now deploy much of your army using the Cult Ambush markers. For each unit, you place a marker anywhere in your deployment zone. No enemy models can move within 9" of the marker and they cannot be targeted by the enemy army. If you have the first turn, you must reveal all your markers at the start of your movement phase. If your opponent goes first, you must reveal the markers at the end of their movement phase, after any of their reinforcements have arrived. One model must be deployed within 1" of the original marker, with all other models in the unit deploying within 6" of that first model. Models cannot be deployed within 9" of an enemy model. The beauty of this system is that you don't need to assign which unit is attached to which cult ambush marker. You simply deploy your army for optimal benefit after you see where your opponent has deployed their army, or moved in the first turn. This gives you a big advantage, able to avoid unfavourable match ups or to focus on weaker parts of the enemy army. There are also stratagems and abilities available to allow you to place additional "decoy" markers or move markers before they are revealed. I think this is a really fun mechanic. It'll make your first turn last a fair bit longer as you need to deploy most of your army in it, but you will save time on deployment as well, as you are only placing the markers. This also has the added benefit of keeping enemy models at least 9" from any unit in your army. This should limit the number of first turn charges you may face unless your opponent has some sort of ability or psychic power allowing them to move again. Fast units like Bikes will still be restricted from moving within 9", potentially allowing you to block off objective markers on your first turn that are just outside of your deployment zone and forcing them to make at least a 9" charge to get to you in many deployment types. I'm going to be really interested in trying out this mechanic to see how it performs in my games. I don't think it will have the raw power of the old Cult ambush, but it is a lot more reliable and gives you some great deployment options to really hurt your opponent's deployment options. I will miss gaining the ability to charge or come in from reserve on the first turn, but this was perhaps too powerful anyway. As it is, the Genestealer Cults have access to some fast moving and scouting units in the new codex to help give you a bit more mobility in the first turn of the game anyway. These are the "Chapter Tactics" of the Genestealer Cult army, as some of them are pretty good. 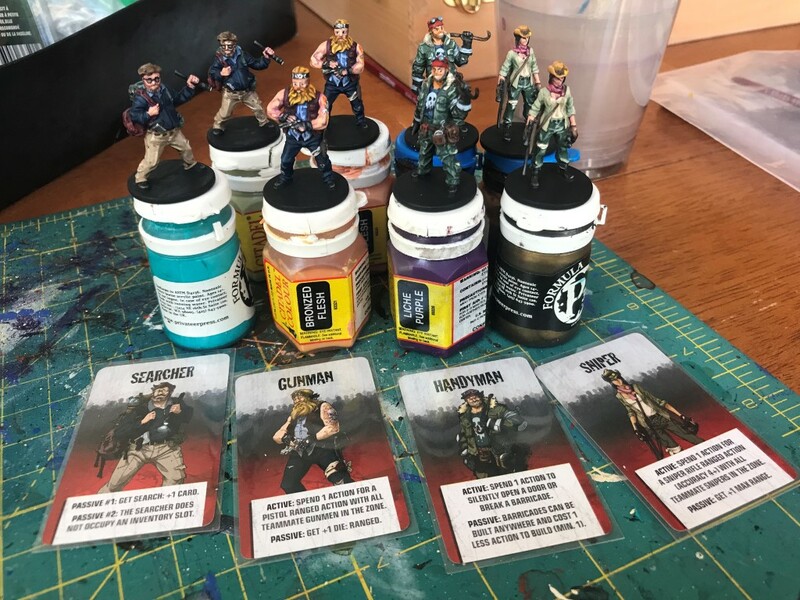 These apply to <Cult> Infantry and Biker units. Unfortunately, none of these Creeds apply to Genestealer units, which is a real shame, as there are some potentially very strong combinations that would apply to them. Until the end of the first battle round, add 1 to Advance and Charge rolls for units with this creed. From the second battle round, if a unit arrives from reserve, it adds 1 to its Advance and Charge rolls until the end of the turn. This is a strong trait and one that I think will be quite popular (due to it's Creed-specific stratagem in many cases). This is great for units arriving from reserve, meaning you will need an 8" charge rather than a 9" charge for many units. In addition, there are a number of other abilities and stratagems in the army that give you additional +1 to charge rolls, so this could potentially drop down to a lower charge roll for many units. You can re-roll hot rolls made for melee weapons with this unit in the turn that it charged, was charged or performed a heroic intervention. This is a very strong Creed for a combat-centred Genestealer Cults army, which most will likely be. This is going to be a huge bonus for Acolyte Hybrids and combat characters, or units such as Aberrants. Unfortunately, again it doesn't apply to Genestealer units, which would be very strong for the army. If a unit with this creed fails a morale test, halve the number of models that flee (rounding up). IN addition, the unit can still shoot when it falls back, but at -1 to hit. Another strong creed. Genestealer Cults units have a good leadership value, but can be susceptible to morale penalties. Getting to fall and back and still shoot is a strong ability in many armies, but I don't think it is particularly strong in the army, as they are not the strongest of firepower armies, in my opinion. All models with this save have a 6+ invulnerable save. Models with this creed that have an invulnerable save already, increase it by 1 up to a maximum of 3+. In addition, infantry models with the creed that move don't suffer the penalty to their hit rolls for moving and firing Heavy weapons. An army-wide 6+ invulnerable save is a nice bonus for a force, allowing you to block a few wounds over the course of the game. Oddly, there are not many non-Genestealer units that have an invulnerable save. This bonus does not apply to the Patriarch or Purestrain Genestealers. When making armour saving throws for a model with this Creed, add 1 to the save against attacks that have an AP value of 0 or -1. In addition, Biker models do not suffer the penalty to hit rolls for moving and firing heavy weapons or advancing and shooting assault weapons. This is a pretty solid bonus for an infantry-heavy army, giving your infantry units a 4+ save against AP 0 weapons. This is a big boost for the durability of your infantry models. It also works out well for the new Biker units in the army, allowing them to have some more accurate firepower on the move. Add 1 to the strength characteristics of models with this Cult Creed. Also, add 2 to advance rolls for the unit. Again, a really powerful creed for an infantry melee army. Going up to S4 for the Acolyte and Neophyte hybrids is a huge boost in melee (just ask all the Catachan Imperial Guard armies). The Primus and Iconward also go up to S5, making them stronger in melee against most enemy infantry units. Overall, there are some very strong Cult Creeds for the Genestealer Cults. At the moment, there is no obvious stand out for me as the one you will see all the time. For me, Cult of the Four-Armed Emperor, the Pauper Princes and Twisted Helix are very strong for the melee-oriented army that I tend to run. The Creed-specific warlord traits, stratagems and relics are going to be an influence on which of the Creeds are going to be strong in the army. I'll cover these in more detail in future segments. The new codex also features several new Brood Brothers units to bolster the forces of the Cult. These are generally Astra Militarum-type forces. These units can be taken in an army without your battle forged force losing the Cult Creed abilities, but these units do not gain the Cult Creed abilties. This allows you to take Astra Militarum-type infantry squads or Heavy Weapons teams, giving you some nice firepower bonuses to add to your army. Annoyingly, the Neophyte Hybrids can no longer take heavy weapons such as the Mortar, a shame, as I have some modelled for my army. A battle-forge army can include a single Astra Militarum detachment in it. This detachment may not use any named characters, does not benefit from Regimental Doctrines and cannot use any regiment-specific stratagems or orders. They do gain +1 leadership and the Unquestioning Loyalty ability. In addition, you only get half the number of command points for the detachment that you normally would. 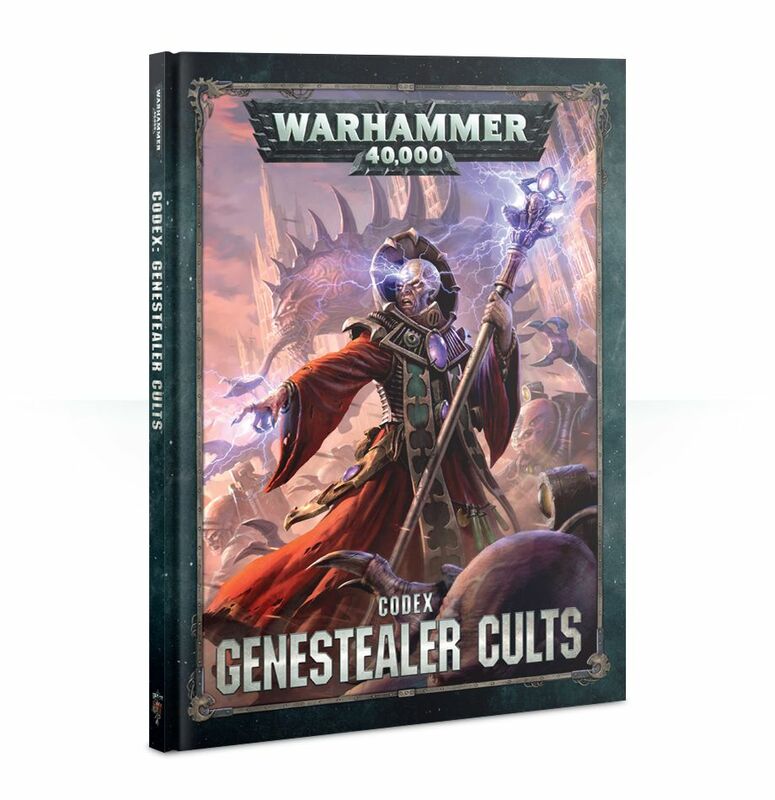 This allows you to add a number of useful units or vehicles to the Genestealer Cult army without gaining too many abilities or benefits from the detachment. I could see this as being a useful way of augmenting the firepower of the Genestealer Cult army with some tanks, such as other Leman Russ variants, the Wyvern or the Basilisk. Some interesting changes for the Genestealer Cults. The new Cult Ambush rule has the potential to be a very strong addition to the army, but I'll need to play a few games with it to see how it will work and whether it will be better than the old version. The Cult Creeds are also interesting. I will probably play a few games with the different ones to see which suit my playstyle. There are no obvious winners for me in isolation, with almost all of them having the potential to boost the army. Just play your Neophytes as Brood Brother Squads if they have Mortar Teams. I too have to remove my Brood Brother IG(AM) Sergeant's Bolt Pistol as he can only have a LasPistol now. The area denial ability of the Blips seems quite strong, coupled with the decoys and movement of three up to 12in, you can really make a faint on one side and then re-deploy to the centre and other flank if needed. Yeah, there are some nice tricks to play with the ambush markers in the game, hoping to try them out. When this codex came out I thought to myself Mike will sort me out with a good overview glad to see it is here! I look forward to the rest of the review segments. 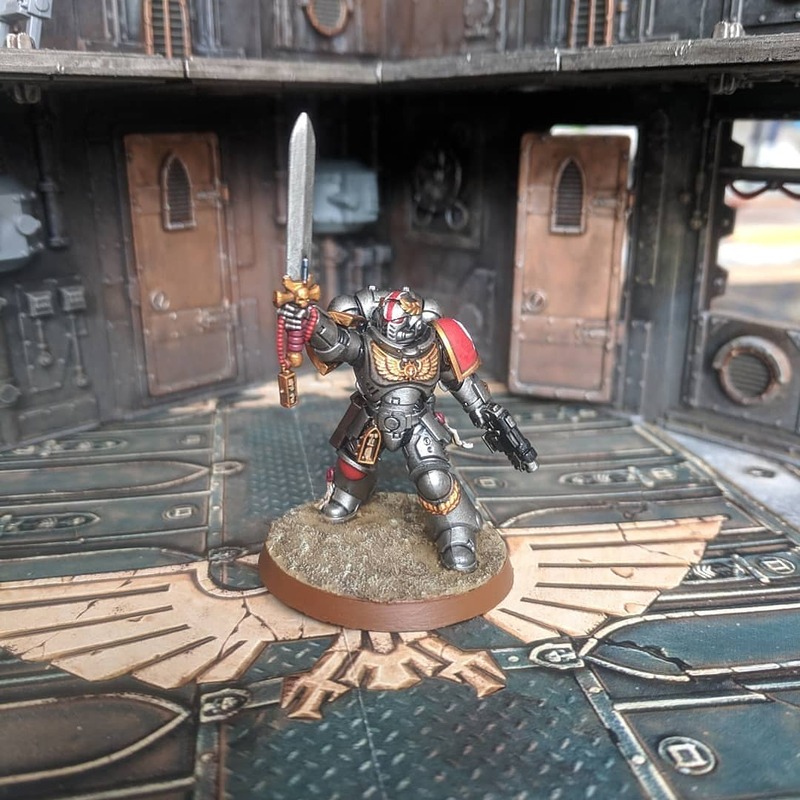 I picked up deathwatch overkill back in the day so have the start of a cult army and I think they will be my next 40K army. Hopefully you can do another Winters bat rep with the new codex. Cheers, it was definitely one I was looking forward to do. Hoping to get a full review of the different sections done. Would love to get another game with the new Cult, just need to see what his schedule is like. I've been looking forward to these reviews. 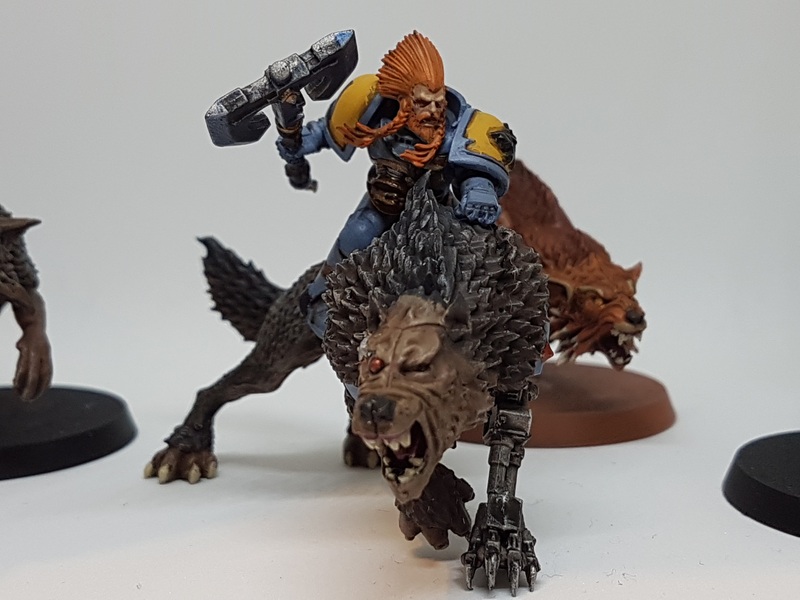 My arch-nemesis (friendly of course) is a Nids and GSC player (to my hard-line imperial) and your reviews mean I can get up to speed on the new codex and not tell him! You think you are getting to know your enemy, but you are really being tempted to joining by the awesomeness of the new codex. Don't worry Steven, the true four-armed Emperor is welcoming to all. Come, join us! 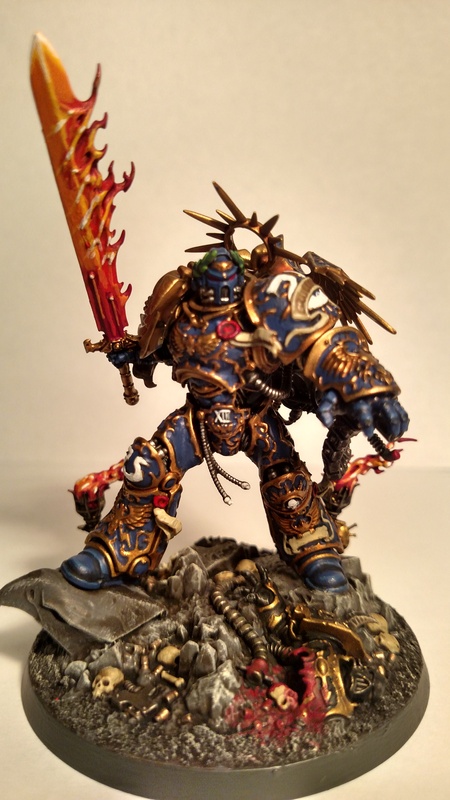 Lol, there is only one true Emperor and I shall not be tempted from the light! Good stuff! Figuring you'd be covering the more objective approach to a review, I took a more Narrative Play-focused approach in my own. The new Cult Ambush looks great to me. Especially with all the Stratagems relating to it. 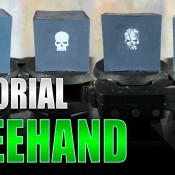 So many ways to mess with your Opponent's head. Four-Armed Emperor, Rusted Claw, and Twisted Helix are the Creeds I expect to see most often. The other three all have some solid features, but also all fall flat in some way. Rusted Claw is my fave so far, I think. In Cover, they go to a 3+ Sv against most high-volume fire, which is ridiculously good for 5 point Models. And I like the Atalan Jackals and Jackal Alpha, too, so that weighs in their favour as well. Yeah, once you get them in cover, it really boosts their durability. It's an interesting Creed to use. How does the deployment work, you replace the marker with a unit? Does that mean one model on the marker and all models in coherency of it, or all models in the unit must be setup within 3/6" of the marker? You use the markers during deployment. They get replaced with units during the first turn, either at the start of your movement phase if you go first, or at the end of your opponent's movement phase if they go first. The first model must be set up within 1" of the marker, then every other model must be set up within 6" of the first model. It does allow you to potentailly deploy out of your deployment zone, but not within 9" of an enemy unit. You can still move and shoot as normal after deploying. Thanks, I appreciate my comment makes it look like I hadnt read your article! I was more wondering how much unit snaking would be possible, but it sounds pretty limited which is good. 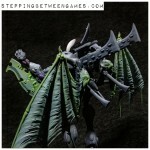 If I had time (and wasnt being tempted by so many other armies) I'd be picking these up already lol. The Deployment sounds fantastic, and not too open to abuse. It might also mean that this is an army you want to go second against, certainly more than you sometimes seem. Haha, that's fine, no problem with some clarification. I can't remember exactly what happens, but I imagine if they cannot be deployed then they are destroyed. Cool, makes sense... havent read the rest of your reviews yet, mainly because I am worried that once i do I will be able to send you a picture of me buying the damn dex!!! Looking forward to any other posts you have about this. yeah... you need that disclaimer when reviewing codices! Hey Alex, glad you enjoyed it. Based on the changes to the Cult Ambush rule, I don't think the characters coming in with the unit is such a big issue any more. You can still deploy the character with the units if you want, you just don't get to double up the benefits of the stratagem. There are a number of ways to mitigate the charges when coming in from reserve. The Cult of the Four Armed Emperor gives you +1 to charge, and there is a character that gives you +1 to your charge as well. This means you can get down to a 7" charge with a number of units with ease. You are also no longer limited by equal number of units for reserves, as it is based on points. This means you should be able to get a number of key support characters in with your main units when coming in from reserve.